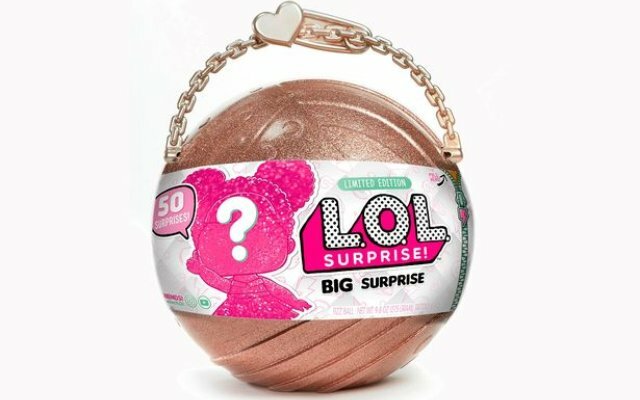 The so-called 'LOL Big Surprise' has been tipped as one of the must-have toys this Christmas for kids, but one mum has revealed that it doesn't quite live up to its £59.99 price. The item has received a backlash online from disappointed parents, who have claimed the toy as a "rip-off". The toy promises kids 50 different items inside, which are contained inside a glitter ball, including a collectable doll amongst and other goodies for them to unwrap throughout Christmas. However, mother Ciara Umar couldn't believe what she found inside the toy she bought for her daughter Elisa. On Facebook, she warned parents off "wasting" money on the toy, and shared pictures of what was inside. She wrote: "So Elisa got the Big LOL Surprise today. I would definitely not recommend if you don't want to waste your money. The pic on the right is all you get just pre warning yas (bucket not included) [sic]." The picture shows some small plastic dolls and other mini doll accessories. And that's about it. "I was mortified when I saw the contents," she later added, "Don't get me wrong, she was over the moon opening them and had five baths with the bath bombs, but then just went back to her iPad. The novelty wore off within 15 minutes." "She got what was in the picture then there was five more surprises in the bath bombs. It's an absolute waste of money, it's not even a full ball either, it's only half a ball as the back is flat." The post has been shared over 7,000 times, and it has certainly warned off other parents from buying it. The LOL Surprise has been a big success in stores already this year, and it comes in different sizes, and ranges from £5.99 to the £59.99. The smaller LOL toys are currently the UK's best-selling toy after being launched in March.